Our natural tin ceiling plates add the finishing touch for your hanging star fixture. 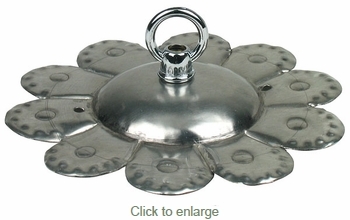 This flower design metal ceiling plate is handmade by artisans in Mexico. Since each ceiling plate is hand crafted, finish may vary slightly from what's pictured here.